SHINJUKU, JAPAN / ACCESSWIRE / September 12, 2018 / Release is set to be the next big revolution in social media and e-commerce with the introduction of the social-commercial platform. Release is an amalgamation of social media and e-commerce using blockchain technologies, big data and artificial intelligence (deep learning). Release, a SNS social media platform, wherein individuals can post information, which is classified into 13 categories, mainly breaking news, playing, eating, watching, staying, buying, healing, learning, work, hobby, entertainment, event, amongst many others making it easier for users visiting the website to quickly access the excellent quality and reliable information together with the search function. 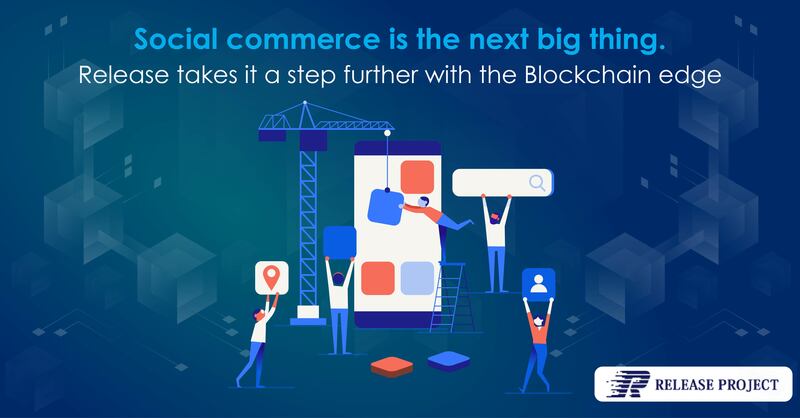 Release, having a social commerce platform structure, combines social media with e-commerce along with blockchain technology, big data, and artificial intelligence. This platform has a search program and a trading system powered by individual artificial intelligence, management and analysis of information by big data, and a method of rewarding both ends, i.e. the contributor of information, but also reward users who evaluate the posted information with likes and comments using the blockchain technology. The Release platform aims towards being a "social commerce platform", combining social media and e-commerce. Users can post good quality articles which other users can evaluate. Release intends to rewards both the contributor of content and its evaluators, by issuing the REL Token, which users can accumulate and use for buying and selling goods and services on the RELEASE social commerce platform and trade REL token on various virtual currencies listed on the stock exchange market. There are almost 2.5 billion users on social media networks which are expected to increase to 3 billion users by 2021. Also, there are 1.77 billion users of e-commerce, and the size of the e-commerce market is over 1474 billion dollars, which is about 833 dollars per e-commerce users. Release uses the blockchain technology which is optimised for the social commerce platform. It is enabled to solve issues encountered by existing blockchains by building and developing the revolutionary social commerce trading platform for integration of social media and e-commerce. Using smart contracts and distributed automation systems that enable the scalability required to meet the size of the social media and e-commerce industry combined, the blockchain technology will allow transactions services on various social commerce platforms. The combination of social media and e-commerce - Release ’s platform will be able to provide transactional services and high-quality, cutting-edge social commerce. The Release platform leverages deep learning technology for predicting the user search data to accordingly find, optimise, and provide actionable results to the user. The Release platform also relies on big data for processing information. data from social media and e-commerce is an ocean. Big data technology is used for predicting consumer purchase behaviour, marketing, equipment troubles, new business development, business improvement and growth etc. The Release platform utilises the blockchains distributed ledgers or distributed networks technology, wherein each participant can verify the existence and absence of fraudulent transaction information and guarantee the integrity of transactions. The Blockchain technology makes it almost impossible to tamper or destroy data, thereby eliminating the need for routing data through a central system. Additionally, blockchain technology is very much capable of achieving the mutual transfer of rights among multiple parties. Hence using the blockchain technology, the Release platform not only offer data and confidentiality protection but also makes tampers and alteration of data impossible. The Release platform is emerging as a one stop destination for users - wherein, users are rewarded both ways. i.e. receive a token for posting information and evaluating it. The coming years will introduce even more exciting and groundbreaking functionalities in the domain.